SSD or Solid-State Drives are next-generation storage devices with unmatched capabilities. Solid State Drives are basically a non-volatile memory chip based on NAND FLASH memory. They are much more reliable, compact and fast in comparison to the Hard Disk Drives. Because of its smaller size and blazingly fast performance, SSD’s are in great demand these days. It used in all modern computing devices such as laptops, ultrabooks, tablets, etc. This is because all these devices are sleek and compact in size and there is not much room for the huge Hard Disk Drive. SSD is more reliable as they do not have any moving mechanical parts. This makes them resistant to shock to a large extent. Now talking about the speed and performance the reads and writes speed of an SSD is almost quadruple than the older Hard Disk Drives which makes it an ideal choice for both home and enterprise use. These high endurance drives are fully dependable which can be used to store millions and millions of files without worrying about their security. The power consumption of a Solid-State Drive is also very low, this makes it an ideal partner for laptops and other portable devices which have limited power resources. 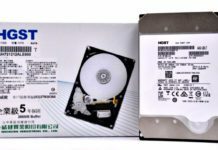 They cost higher than the HDD because very high performing and expensive materials are used in its manufacturing and are great in terms of performance. All these features make SSD the best storage drives for any modern computer. Enhanced endurance and reliability, high-level data security and high storage capacity make it a perfect storage solution for all your data needs. 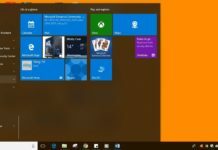 A lot of people think that the Solid-State Drives are an entirely new storage technology which is only compatible with the latest motherboard. Which isn’t the actual truth, because SSD was mainly introduced back in 1991 by the SanDisk Corporation who sold the 20MB drive for 1000$. 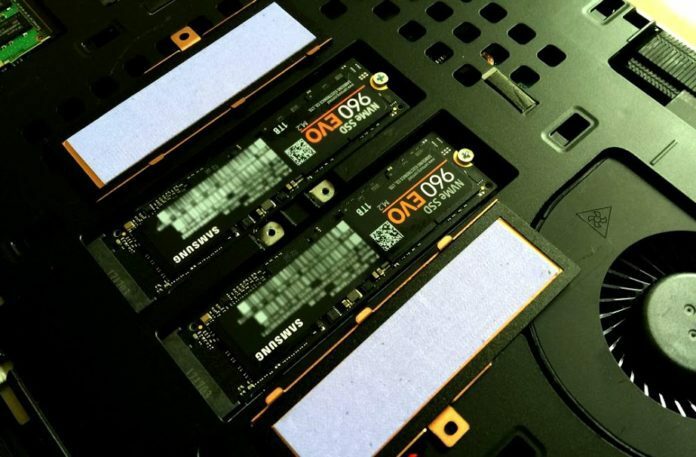 In 2012, TLC (Triple Level Cell) NAND Chips was first seen in the Samsung 840 Series SSDs who shifts the SSD market because of its low-cost manufacturing. Where 2017 was the year when SSD market again hits the low-price shift and become a lot more popular than the old hard drive. Even now it holds a bigger industry as compared to the HDD. My point is, SSDs weren’t that famous because of its huge price tag. But the reason why I’m highlighting this is just to clear out your ‘you can’t install SSD in an old computer’ myth. If your old desktop or laptop computer do have a hard drive installed in it, then it’s for sure that you can at least install a 2.5-inch SATA type SSD in your PC, who looks exactly the same like a laptop’s hard drive. Another thing you need to check is what types of SSD ports are present on the motherboard of your computer. A Solid-State Drive makes use of various types of ports to interface with a computer because it comes in four types. This includes M.2, PCle, mSATA, and SATA Express. Some SSD Chips are even soldered directly to the board and hence makes use of no ports, but that’s entirely a different thing. Other than 2.5 Inch SSD, the M.2 and mSATA are standard ports for Solid State Drives are most widely used. All these ports are different from each other in terms of sizes and keys. Some ports are smaller while the others are wider. They also differ in terms of keys or the arrangement of pins and gaps. Therefore, an SSD card of a particular type only fits in its specific slot. 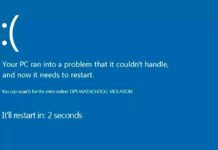 Forcing a wrong SSD in a wrong slot can damage the ports or drive or both. The new M.2 SSD cards cannot be used with a laptop older than 2 to 3 years. This is because M.2 SSD cards make use of a special type of port which are only present on the latest motherboard. Older computer or motherboard lacks M.2 slot; this makes it absolutely necessary to check whether your computer supports new M.2 SSD or not before making any purchase. There are mainly four types of SSD namely 2.5-inch SSD, mSATA SSD, M.2 SSD, and PCIe SSD. Understanding the SSD compatibility is not as simple as it looks. And without proper knowledge, you will end up wasting your hard-earned money. 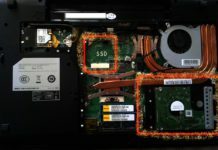 Precautions – Residual charge or static electricity might damage the SSD or other components of the computer so make sure you work in a charge-free environment. To ensure that, make sure you use an ‘Anti-Static Wrist Band’. A 2.5-inch SSD looks identical to the small size Hard Disk Drive which is generally used in laptops. It can be easily used with any laptop or desktop computer thanks to the SATA interface port. It uses the same port as any other normal drive and thus it is one of the popular types of SSD. 2.5-Inch SSD also comes in a U.2 interface variant which also requires a U.2 port to get installed. These type of SSD mostly used in the enterprise environment where the high-endurance drive is mainly needed. If you have a 2.5-inch SSD, then you must be wondering about how to install it. It is actually quite a simple task, and you can easily do it yourself in just a few minutes. First of all, shut down your computer or unplug the power cable. Now press the power button for a few seconds to remove any residual charge. This is a small but important step as any residual charge may damage the SSD card. Now remove the left side cover of your desktop’s cabinet. After that, you need to mount the SSD in a drive bay to secure it. 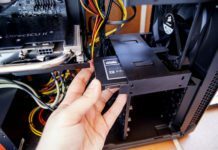 If your desktop’s cabinet doesn’t have any room for your small 2.5-inch SSD, then the only way to install a compact drive is by using a ‘2.5 to 3.5 Inch drive mount’ to make it possible. Suggested Link: How To Fit Or Install 2.5 SSD or HDD In 3.5 Bay Into The Desktop Casing? After opening the cover, you need to remove the old HDD drive’s data & power connection and insert it back to the new SSD. In case, if you wanted to use both your HDD and SSD simultaneously then locate the free SATA port available on the motherboard and attach one end of the SATA cable to SSD and the other end to the motherboard. Or in case, if you have a U.2 SSD, then a free U.2 Slot and a U.2 cable are needed to make a connection. After that, you need to plug the SATA Power Cable which is mainly coming from the PSU to provide the power supply to your newly installed SSD. When everything is attached and screwed properly, then you can cover back the system to its original place. 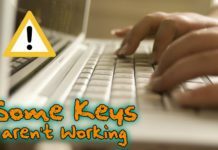 The first thing you’ll need to do is to shut off your laptop, unplug the power cable (if attached) and put out the battery. Then unscrew the back panel by using a suitable screwdriver just to locate the internal drive. Unscrew the old hard drive and slide it backward to unattached it. After that, slide the new drive in and put the screw on to secure it. Reattach the back cover and battery, and you’re all done. Before putting any effort, make sure you had watched a de-assembly video of your particular laptop model. I’m only saying this because some laptops don’t even use a hard disk drive, and installing just like one is impossible. 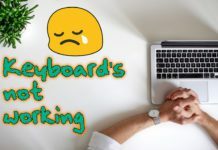 Sometimes it also possible that you can’t find the hard drive after unscrewing the back cover because it’s mainly located on the upper side of the laptop’s body. So, watch a video before holding a screwdriver. Another popularly used SSD is the mSATA SSD. The SSD is mainly introduced for extra slim devices like ultrabooks and tablets. If you are planning to get an SSD for your old laptop, then it is going to be the best option for you as it does not require much room. You can even use it as an additional primary storage in your laptop, this way you can make use of both the speed of an SSD while having the storage capacity of HDD. Another amazing thing about the MSATA SSD is that it consumes very low power and thus it is an ideal choice for laptops as it boosts the battery life. Not just in laptops, even some old desktop motherboard supports the mini-PCIe slot for the mSATA SSD (or WIFI). New laptops lack the mini-PCI slot because of its competitive replacement which is the latest M.2 slot. So, make sure about what type of slot your laptop has, before open the back cover. The best way to confirms it by watching a di-assembly video or a detailed specification of your laptop. 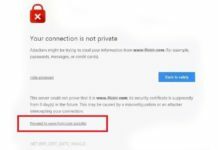 Disconnect the power source of your desktop or laptop and switch it off. Open the side/back panel of the desktop/ laptops. You can take the help of your owner manual if you are having any difficulties. Locate the Mini-PCIe Slot on the motherboard. Now remove any existing PCIe device if present to install the SSD. Only do that when the existing device is unusable. Like an infrared card or SIM card, other than the mini-PCIe WIFI card. Refer to the motherboard owner manual to find if you have any free slot present on the motherboard or not. Now insert the SSD in its dedicated port. Align the notches on the SSD with the ridges in the port. Be very gentle and don’t apply much pressure. Now screw the mSATA SSD card using a suitable screwdriver. Reattach the back/side panel and switch on the desktop or laptop computer. The next in the row is M.2 Solid State Drives. An M.2 is an entirely new technology, and hence you need to double check if your motherboard is having an M.2 port or not. Only the latest generation pc motherboards accept this new and ultimate form of storage drives. Nowadays, because of its ultimate performance and speed, M.2 SSD becomes the best selling drives in the current market. It comes in three different sizes 42 mm, 60 mm and the biggest one which is 80 mm. Therefore, buying an SSD of suitable length which effortlessly fits in your laptop is really important. Once you have purchased an M.2 SSD of suitable size here is how you can install it. Before handling M.2 SSD makes sure that you touch an unpainted metal surface to remove any static charge from your hand. Or use a static band. Also, make sure the screwdriver you are going to use does have a magnetic tip. Carefully unscrew the back panel of your laptop or desktop. Now locate the M.2 slot on the motherboard. Every manufacturer places the slots in a different location. So, watch a di-assembly video if needed. M.2 ports are generally an inch wide with an NVMe, SATA or M.2 Key labeling on it. Unscrew the screws present on the slot. Now mount the SSD carefully. Be very gentle as it is very fragile. Put the screw back in its position. Attach the back cover and power ON your computer. In the beginning, SSD’s were only available in PCle variant. They are super-fast with a massive speed of 4 GB/sec especially designed for bulk data storage. 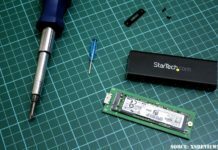 These kinds of SSD are mostly used for enterprise use, but you can use it in your personal laptop or desktop to convert it into an ultimate machine. PCIe SSD is quite big in size, and yes, you have to make sure that you have enough space in your motherboard or desktop cabinet to add it. The important thing to consider when buying a PCIe SSD is that it comes in two different interfaces variant. First one is PCI X4, and the other one is PCI X8. As usual, the first thing you need to do is open the cabinet’s side panel. Now look for the suitable PCIe slot on the motherboard to fit in the SSD. In case if your motherboard doesn’t have any x4 or x8 slot available on it, you can also use any x4 PCIe SSD or x8 PCIe SSD in the PCIe x16 slot. Place the SSD properly into the slot and screw it. Attach the back panel in its place and you’re all done. Now you can boot your computer and your PCle SSD is ready to use.